Unpleasant smells are frequently found lurking in bathrooms, kitchens of homes and even offices. This makes using these facilities bothersome and at times unbearable. We generally, consciously or unconsciously, use our power of smell to judge how healthy or clean a space is. Why allow your space to be controlled by the smells around it when you can pleasantly scent your home or office spaces with Aromatree's air fresheners. We offer six select Floral, Citrus, Herbal and Oceanic fragrance variants such as English Lavender, Citrus Limon, Tea Rose, Ocean Breeze, Jasmine and Lemongrass. 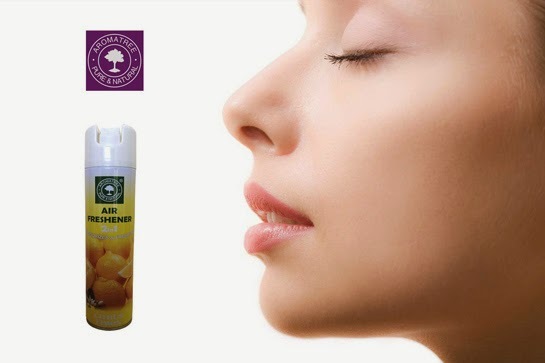 Our Natural Spray Air Fresheners do not contain gas or propellant and harsh chemicals and are dispensed in air by natural compression hence called Natural Spray. They are rich in natural essential oils and fragrant oils are solublized in alcohol. Their unique chemistry enables suspension in the air of enclosed areas for a longer duration, almost up to four hours. The alcoholic mist also sanitizes the air naturally. The essential oils in the Natural Spray are known to impart wellness benefits of aromatherapy and also repel insects. Most suitable for use in cars, wash-rooms, small office cabins, bed-room etc. The handy, non breakable bottle is easy to tuck in with your personal belongings and carry it wherever you want.